In Greek mythology, Cepheus is the name of two rulers for Aethiopia; a grandfather and grandson. Regarding the more famous story for Perseus; his freeing Andromeda and constellation, it is the grandson, King Cepheus, the son of Agenor who is the more well known. 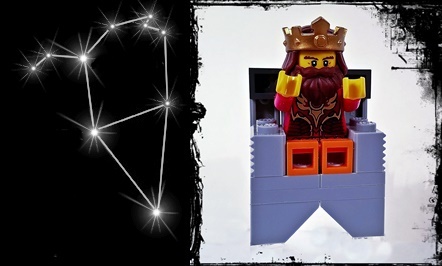 The constellation representing Cepheus is often portrayed as a monarch sitting on his throne with his arms held up and his feet pointing towards the north pole. In the night sky, Cepheus is found to the west of the Cassiopeia constellation where it appears to be circling the pole star every night. In Greek story of Perseus, Cepheus was the king of Acrisios or Aethiopia, the husband of Queen Cassiopeia and the father to Andromeda. For the Greeks, Cepheus is known as the father of the Royal Family. The story begins when Cassiopea started bragging about how Andromeda was more beautiful than the Nereids. This kind of attitude of extreme arrogance and pride, especially when a person claims being better than the gods, creates what’s known as hubris. Offended by Cassiopeia’s remarks, the Nereids approached Poseidon and complained, asking him to punish this mortal woman. Poseidon agreed and he sent a flood as well as the sea monster Cetus (or Kraken) to destroy the coastline of Aethiopia. After consulting with the oracle of Ammon (identified by the Greeks with Zeus,) located at an oasis near Siwa in the Libyan desert, Cepheus was told that he would be able to end the destruction of his country by giving up his daughter Andromeda in sacrifice to Cetus. At the urging of his people, Cepheus had Andromeda chained to a rock by the sea to await her fate. Luck was with Andromeda, for the hero Perseus was flying by on the Pegasus and on seeing her, he flew down to ask her why she was bound to the rocks. Andromeda told her story to the hero Perseus. After hearing the story, Perseus went to Cepheus, saying he could save Andromeda from the sea monster and that in return, he wanted her hand in marriage. Cepheus told Perseus that he could have what he wanted. At that, Perseus then, depending on the accounts given, pulled his sword and found a weak spot in the scales of the sea monster Cetus or he used the severed head of Medusa to turn the monster to stone. In either event, the monster was slain, Perseus saved Andromeda and a grateful Cepheus and Cassiopeia welcomed them to a feast where the two were married. The story doesn’t completely end there as it seems Andromeda had also been promised to her uncle Phineus to marry. This wouldn’t have been disputed or contested if Phineus had been the one to save Andromeda and slay Cetus himself. So Phineus picked a fight with Perseus about his right to marry Andromeda at the wedding. After slaying a Gorgon and a Sea Monster, a mere mortal man is no challenge for Perseus who once again pulls out Medusa’s head and turns Phineus to stone. Given variations of the story, sometimes this is when Cepheus and Cassiopeia are also turned to stone when they accidentally look at the gorgon’s severed head. With Phineus now dead, Andromeda accompanies Perseus back to his home Tiryns in Argos where they eventually founded the Perseid dynasty. Some accounts give that Perseus and Andromeda had seven sons and two daughters. Others place this count a little differently saying its seven children all together, six sons and one daughter. Most accounts agree that the eldest son, Perses founds his own kingdom and becomes the ancestor to the kings of Persia. A variation to this account is that Perses was adopted by his grandfather Cepheus and named heir to the throne. Eventually, years later, as the major figures of the storied died and passed away, the goddess Athena placed Cepheus and the others up into the heavens as constellations to immortalize and commemorate this story. In another account, because Cepheus was descended from one of Zeus’ lovers, the nymph Io, that earned him a place in the night sky. Further, it is the god Poseidon who places both Cepheus and Cassiopeia up into heavens to become constellation. Hyginus’ Account – By his account, Cepheus’ brother is Agenor who confronts Perseus as he was the one to whom Andromeda had been promised in marriage. So, this is who Perseus ends up killing instead of Phineus. The accounts can vary and much of this owes to some lack of clarity among the ancient Greek Scholars and Historians. Homer is the first to have used the term Aethiopia in his Iliad and Odyssey. Greek historian Herodotus uses the name Aethiopia to describe all of the inhabited lands south of Egypt. The name also features in Greek mythology, where it is sometimes associated with a kingdom said to be seated at Joppa, (what would be modern day Tel-Aviv) or it is placed elsewhere in Asia Minor such as Lybia, Lydia, the Zagros Mountains and even India. Modern day Ethopia is located on the horn of Africa and has some tentative ties to the legend of Andromeda. The Egyptian priest Manetho, who lived around 300 BCE called Egypt’s Kushite dynasty the “Aethiopian dynasty.” And with the translation of the Hebrew Bible or Torah into Greek around 200 BCE, the Hebrew usage of “Kush” and Kushite” became the Greek “Aethiopia” and “Aethiopians.” This again changes later to the modern English use of “Ethiopia” and “Ethiopians” with the arrival of the King James Bible. Given the way that Countries, Empires, Kingdoms and Nations rise and fall, expand and shrink, it’s very well possible that both Aethiopia and Ethiopia are one and the same and that modern-day Tel-Aviv once known as Joppa (Jaffa) may have once been part of Ethiopia. Some sources cite Joppa as having been a city of Phoenicia. There is a lot of history that has been lost to the sands of time that can only be guessed at and speculated upon. Sometimes the genealogies of Greek characters can get a bit confusing depending on when and who is giving the story. Regarding the King Cepheus from the story of Perseus and Andromeda, he is sometimes said to be the son of Belus, a king of Egypt and son of the god Poseidon. Or, Cepheus would be listed as the son of Phoenix. Where Belus’ is given as the father, Cepheus then had Anchinoe as his mother and that Danaus, Aegyptus and Phineus are his brothers. Iasid Cepheus – This is another name Cepheus is known as, referencing his Argive ancestry and connection to King Iasus of Argus, the father of Io. The constellation known as Cepheus is one of 48 constellations listed by the 2nd century astronomer Ptolemy in his book, Almagest. Today it remains as one of the 88 current or modern constellations. The constellation of Cepheus is one of the oldest ones identified by the ancient Greeks in the night sky. Also of note is that the stars that comprise the Cepheus constellation aren’t very bright. The Cepheus constellation is found on the northern hemisphere where it can most likely be seen during autumn evenings, along with several other constellations named after characters in the myth of Perseus. Because of its northern location, Cepheus is only visible north of the 40° south latitude line and for observers farther south it lies below the horizon. It is 27th largest constellation found in the night sky. Bordering constellations to Cepheus are: Cygnus, Lacerta, Cassiopeia, Camelopardalis, Draco and Ursa Minor. In Arab astronomy, the image of a shepherd with his dog and sheep are seen in this constellation. The stars of Cepheus are found in two areas of the night sky, the Purple Forbidden Enclosure (Zǐ Wēi Yuán, also called the Central Palace) and the Black Tortoise of the North (Běi Fāng Xuán Wǔ). Part of the eastern wall forming the Purple Palace Enclosure passed through Cepheus coming from the Draco constellation to Cassiopeia. Which stars made up this wall is uncertain though. Tiangou – Also known as Gouxing, the “Hook Star.” The stars Alpha, Eta, Theta, Xi, Iota, and Omicron Cephei form this asterism. This asterism was associated with omens portending earthquakes. Wudineizuo – This was a group of five stars in the northern part of the Cepheus constellation that bordered with Cassiopeia and Camelopardalis. These five stars represented the seats of the five celestial emperors. These emperors are the deified rulers for the five directions of North, South, East, West and the Center. It’s unknown which of these five stars represented this asterism. Zaofu – Also spelt as Zhaofu or Tsao Fu. The stars Delta, Epsilon, Zeta, Mu, and Nu Cephei formed this constellation. It is named for a famous charioteer of emperor Mu Wang who lived approximately 950 B.C.E. The constellation of Cepheus, along with eight other constellations of: Andromeda, Auriga, Cassiopeia, Cetus, Lacerta, Pegasus, Perseus and Triangulum. All of these constellations have some connection to the overall legend and myth of the Grecian hero Perseus. Alpha Cephei – Also known as Alderamin from the Arabic phrase “að-ðirā‘ al-yamīn,” meaning: “the right arm.” This is the brightest star within the Cepheus constellation that is some 49 light years away from the earth. This star still will become the pole star in another 5,500 years. The last time that Alpha Cephei had been the pole star was about 18,000 B.C.E. Beta Cephei – Also known as Alfirk from the Arabic word “al-firqah,” meaning: “the flock.” It is the second brightest star within the Cepheus constellation. It is a triple star that is a class of stars known as Beta Cephei variable stars and is located some 690 light years away from the earth. Delta Cephei – Also known as Alrediph or Al Radif meaning “the follower.” It is a double star of a yellow and blue star, this star is a prototype star of a class of stars known as Cepheid variable stars or Cepheids. These are pulsating variable stars that can vary in size over a period of hours, days and years. The constellation of Cepheus has many such stars like this. Delta Cephei is some 891 light years away from the earth. Gamma Cephei – Also known as Alrai, Er Rai and Errai from the Arabic word “ar-rā‘ī” meaning: “the shepherd.” The star Beta Ophiuchi found within the Ophiuchus constellation is sometimes called Alrai, but is more often called “Cebalrai,” the shepherd’s dog. The first confirmed exo-planet was found near Gamma Cephei in 1989 that then got retracted and later reconfirmed in 2002 after more evidence and studies were done. This is a double star like Delta Cephei and is located some 45 light years from the earth. Due to the precession of equinoxes, Gamma Cephei will replace the star Polaris, Alpha Canis Minoris as the north pole star around 3,000 C.E. Eta Cephei – Also known as Al Kidr, this star is an orange giant that is located some 45 light years away from the earth. Mu Cephei – Also known as the Garnet Star or Herschel’s Garnet Star, it is a red supergiant that is estimated to be about 2,400 light years away from the earth. This star was discovered by William Herschell in 1781 who described it as being: “a very fine deep garnet colour, such as the periodical star ο Ceti.” It is to date, the largest known star within the Milky Way galaxy. Xi Cephei – Also known as Kurhah, Alkirdah, Alkurhah or Al Kirduh, it is a triple star of which all three are dwarf stars. The Cepheus constellation is the location of the quasar 6C B0014+8120 and has an ultra-massive black hole that is reported to be some 40 billion solar masses. This is about 10,000 times more massive than the central black hole found in the Milky Way, making it the most massive black hole known. Also known as S 155, this nebula is dim and diffuse bright nebula within a larger nebula. Also known as NGC 6946, this is a spiral galaxy that has had ten supernovae observed within it so far. This galaxy was first discovered by William Herschel in September 1798. It is some 22 million light years away from the earth and lays along the border between Cepheus and Cygnus. Also known as NGC 738, this is an open star cluster that was discovered by Caroline Herschel in 1787. This cluster is about 7,000 light years away and the stars found within are less than five million years old, making the Wizard Nebula a young open cluster. There are a couple of others named Cepheus in Greek mythology. There is a King Cepheus of Tegea. He was the son of Aleus from Arcadia and either Neaera or Cleobule. He had four brothers: Amphidamas, Lycurgus of Arcadia, Auge and Alcidice. This Cepheus would go on to sire twenty sons (at least one named Aeropus) and at least three daughters (Aerope, Antinoe and Sterope). He noted too as the founder of Caphyae. Cepheus and his brother, Amphidamas would later sail with Jason as an Argonaut. During Heracles’ campaign against Hippocoon, Cepheus and his sons allied with the Heracles. Depending on the version of this story told, Cepheus either lost all of his sons or seventeen of his sons and was himself killed during the campaign. Cepheus is also the name of one of the people involved in the Calydonian Hunt.